For the most part, attracting talent remains a highly most challenging issue for companies and recruiters. Time and time again, organizations post job advertisements and hope for a flood of qualified candidates; what they receive instead, however, is a certifiable trickle. 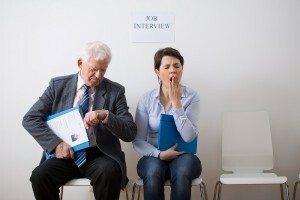 Of course, the scarcity of job applicants is partly the result of demand for talent outstripping the supply in many areas, but it may also stem from the fact your competition is producing more attractive job advertisements. Even a job ad format that worked a year ago may now be outdated, usurped by a newer and more effective format and stopped; such is the rate of progression in this area. This is why it is vital that you regularly review your job advertisements to ensure they incorporate the latest techniques for drawing top talent in to your organization. When under pressure from a boss or client to deliver, it can be tempting to turn job advertisements into long lists of demands that focus on what the company — rather than the candidate — wants. However, research shows this is a flawed strategy. For the best results, job ads should focus on the needs of the applicants. A study from the University of Calgary found that ads that emphasized “needs-supplies” — that is, ads that emphasized what the company can offer candidates — received three times as many highly rated applicants as ads with “demands-abilities,” which emphasized the demands of the employer. The lesson here is that top talent gravitates toward employee-centered advertisements. While it makes sense to get creative with job descriptions in order to showcase your employer brand, it makes less sense to let this creativity spill over into job titles. What may sound interesting and quirky to the members of your team may sound strange and unidentifiable to candidates in the marketplace. According to LinkedIn, 64 percent of job seekers would not apply for a job if they didn’t understand the job title, so if you use seemingly creative job titles, you risk alienating huge portions of the talent market. Research from CareerBuilder shows that ads that include company logos or slogans in job descriptions can draw on 13-21 percent more applicants than ads that do not. So, make sure you use logos, awards, and mission statements in your job advertisements to reflect your employer brand. This is a controversial tactic, as many employers believe revealing salary information so early on puts them at a disadvantage in compensation negotiations, while others believe that making salary data available on job advertisements will make it easier for competitors to poach staff or lure talent from the pool by offering higher salaries. However, the research from CareerBuilder cited above suggests that ads that include salary information perform better than ads that do not. To me, this fact make a lot of sense: why would an applicant want to spend 2-3 hours of their time applying to a job if they can’t be sure the job pays enough to cover their bills? If you want your ads to attract more candidates, then you should include salary information in your ads. If you are worried about the dangers of putting this sensitive information on display, then you could offer a salary range, rather than a solid number. There are many other techniques that can increase response rates, but these four evidence-backed techniques should make immediate impacts, if you implement them properly.